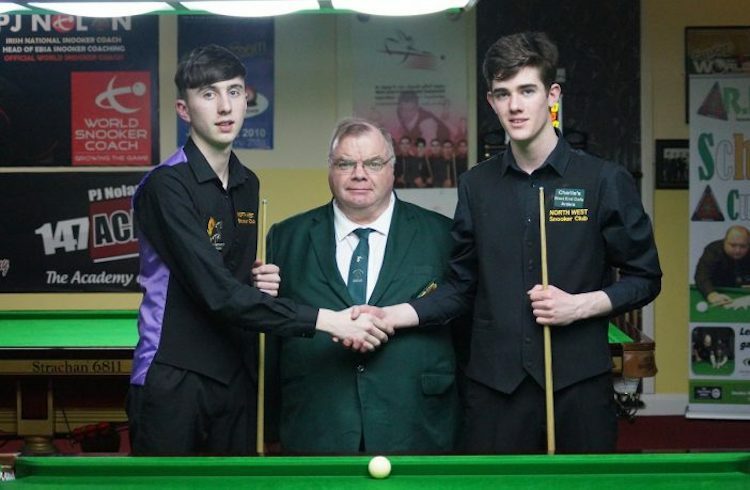 The first ever All Donegal Snooker Final was played at the third RIBSA U18 qualification ranking event for the 2018 IBSF World U18 Championships on Saturday last 7th April in the Ivy Rooms Snooker Club in Carlow. In the Final Ronan beat his club mate Sean Devenney 3 frames to nil to take the title. They competed against each other for the title after both players had excellent wins in their semi finals when Ronan beat Ross Bulman from Cork 3-2 and Sean beat Aaron Hill from Crucible SC 3-2. The spring cleanup of the Parish roads and laneways will take place this Saturday 14th April. We ask everyone to please make a small contribution to our environment by giving an hour to clean the roads. 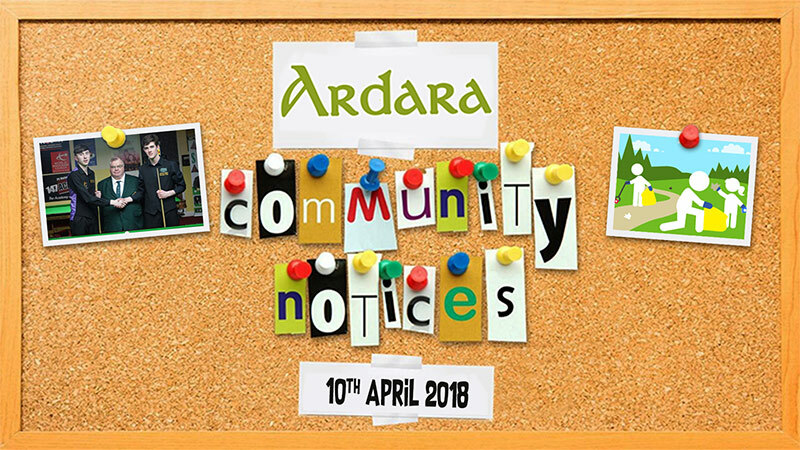 Collection bags and gloves will be available at the meeting point, the Ardara Community Centre, at 11am on Saturday 14th April. All full bags of rubbish will be collected later in the day. A special concert will take place in the Beehive Bar this Saturday night 14th April at 9.00pm with multi instrumentalist Tim Edey. 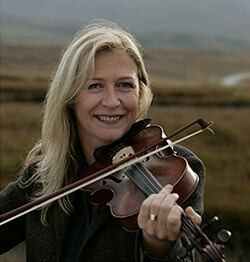 The “Cup of Tae” Festival this year will honour Mairéad Ní Mhaonaigh and as of now seats are going fast for the Opening Concert in the Nesbitt Arms Hotel on Friday 4th May. It is expected all of the group Altan will be along also, as will many top stars who plan to attend to honour this lovely lady. Visit the Cup of Tae website for further information. Congratulations to our local Chemist John Kelly who has installed a new 24/7 outdoor ATM machine at the Chemist Shop. This is much appreciated as our friendly bank Ulster Bank will be removing their ATM shortly. Thanks John for this much needed service as we are a busy tourist town and an outdoor ATM is vital to the area. We will be having another Pop Up Art day on Saturday the 14th of April. Meeting at the Heritage Centre, Ardara at 11am. Finished about 3 or 4. Weather permitting. We will spend the morning sketching outside, otherwise we will be painting still life indoors. All materials provided. €10 per adult, €5 senior citizens, children u12 go free. Please note children must be accompanied by an adult at all times. For more information call Colm 087 322 2910 or Eimear 0868337123 or Lauren 087 251 1115. Eve Curran Community Banker continues to offer a drop-in service at Shanaghan House every Wednesday 11-1. Eve is also available by email and phone and will continue to offer one to one appointments at customers’ homes or suitable meeting place by arrangement if needed. Banker services: One to one Financial Health Checks, Assisting with general accounts queries, products and services, Alternative ways to bank safely, including registering for online banking, Fraud and scam awareness/digital safety, arrange one to one appointments if you prefer.